Dr. Elizabeth Nabel, chief executive of Brigham & Women&apos;s Hospital. 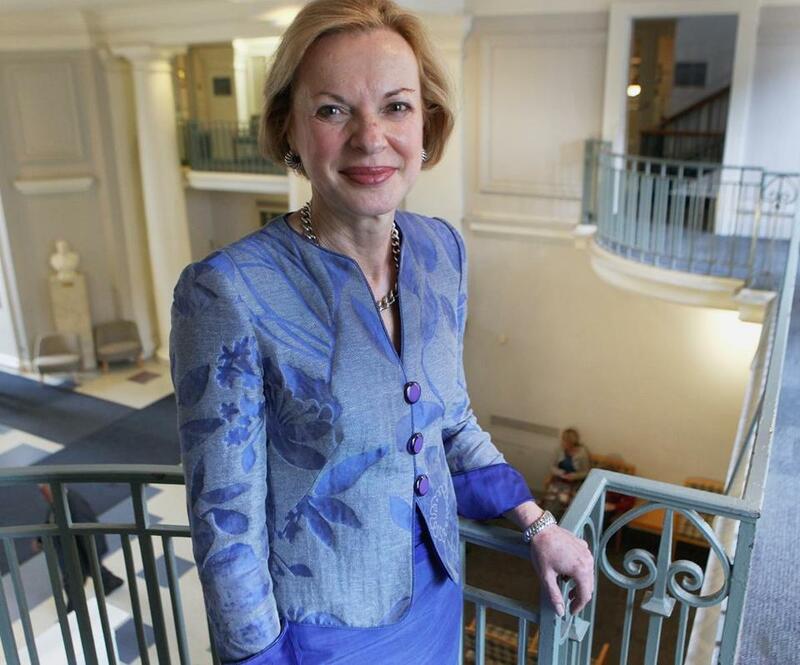 Dr. Elizabeth Nabel is paid well — $1.3 million in salary alone in 2013 — to run Brigham and Women’s Hospital, one of the nation’s premier medical centers. She also finds time to hold three other paying positions, which is unusual for a Boston hospital president. The National Football League last year hired Nabel — a prominent national leader in cardiac medicine and research who holds six honorary doctorates — to serve as its lead medical consultant for an undisclosed amount of money. She also earns $175,000 annually plus stock to sit on the board of the Dublin-based technology company Medtronic, and a confidential fee as a director for a Cambridge biotechnology company. While other chief executives of large nonprofit hospitals engage in extracurricular work, Nabel stands out for the number of outside jobs on her plate as she tries to build the hospital’s national reputation. Brigham trustees approved the positions — and said they closely monitor her hours — because they also help Nabel build her business acumen, said Scott Sperling, board chairman and co-president of Boston investment firm Thomas H. Lee Partners. But certain hospitals limit the practice. The outside positions, while they can be personally lucrative and bolster an institution's standing, carry with them potential risks. Nabel, 64, has been president of the Brigham since 2010, and is a former director of the National Heart, Lung, and Blood Institute. She graduated from Cornell University Medical College and trained at the Brigham. Dr. Thomas Lee, a former Partners executive and chief medical officer at Press Ganey, a hospital consulting company, developed a friendship with Nabel during medical school and residency. He said he can’t imagine her giving any job less than full attention. Lee said Nabel “doesn’t like to make mistakes” and is unfailingly thorough about her work. During training, her notes about patients were so all-encompassing that other residents kidded her about them. According to a Globe survey, Boston hospitals have adopted a range of practices and policies on outside work. Beth Israel Deaconess Medical Center, which like the Brigham is a Harvard teaching hospital located in Boston, prohibits its chief executive from holding outside paid positions — though it declined to discuss its reasons. Boston Medical Center limits its chief executive to one paid board membership because of her other time commitments; Kate Walsh this year joined the board of Lexington technology company Imprivata and receives $75,000 in stock annually. Boston Children’s Hospital chief executive Sandra Fenwick volunteers on several boards — as do many hospital heads — but has no paying positions. Massachusetts General Hospital president Dr. Peter Slavin recently joined the board of American Well, a Boston telehealth company; neither the company nor the hospital would disclose his compensation. Dr. Laurie Glimcher, the incoming head of the Dana-Farber Cancer Institute, sits on the corporate boards of pharmaceutical giant Bristol-Myers Squibb and lab equipment maker Waters Corp., and the hospital is allowing her to keep those positions — with monitoring for conflicts of interest. At the Mayo Clinic in Minnesota, president Dr. John Noseworthy does not perform any outside board work, while Dr. Paul Rothman, chief executive of Johns Hopkins Medicine, earned $100,000 plus stock options as a Merck & Co. director in 2015. Sperling said Nabel’s outside positions ultimately benefit the hospital — especially her involvement with the NFL, which he called “one of the highest-profile organizations in the world.” She is developing relationships with the 30 team owners, who are prominent in their communities. “That has been very helpful in terms of the overall Brigham profile,” he said. In terms of the board directorships, Sperling said Nabel is gaining experience in how large and small companies are managed. “It has great value to us in terms of broadening her skills as a CEO,” he said. While purchasing decisions don’t usually reach her, he said she would remove herself from any business discussions involving products sold by Medtronic or Moderna Therapeutics, the biotech company for whom she is a director. Partners HealthCare, the Brigham’s parent company, limits executives’ outside activities to 52 days a year; Nabel spent 21.5 days on these positions in 2015, McDonough said. Nabel said in an interview with the Globe a year ago that she was working one day a month for the NFL plus some nights and weekends. Medtronic has four regular board meetings a year in Ireland, plus committee meetings. Moderna declined to provide information. Henry Stoever of the National Association of Corporate Directors, a nonprofit organization in Washington, said time spent outside the office is not the only possible pitfall. “You might be spending a lot of mind time thinking about helping that board and how can I help that company. It is an area to always be concerned about” — and a reason why organizations set limits, he said. When the NFL tapped Nabel last year as its first chief health and medical adviser, some wondered at the choice of a cardiologist, given the focus on the prevalence of player concussions and whether the NFL has downplayed the dangers. Neurosurgeon Dr. Robert Cantu, a concussion expert at the Boston University School of Medicine, said her role entails more than offering advice about brain injuries. David Hovda, a member of the UCLA Brain Research Institute, said he was surprised the league did not pick an expert on traumatic brain damage but said Nabel’s former leadership role at the National Institutes of Health might be viewed as more valuable. Her stature and prominent position adds legitimacy to the NFL’s assertions that it is trying to address the problem, he said. The Massachusetts attorney general’s office warned five years ago about possible pitfalls in nonprofit leaders taking outside paid positions. In a review of compensation for former Blue Cross Blue Shield of Massachusetts chief Cleve Killingsworth, the office noted that he served on 14 outside boards, three of which paid him “significant compensation” and elected him after he became chief executive. A report said the practice raised broader concerns about whether chief executives were using their positions, considered a charitable asset, to leverage paying positions. Sperling said the Brigham and Nabel have been “incredibly careful” not to allow the NFL to misuse her position. The NFL’s use of her name and the Brigham’s name is reviewed quarterly by Partners and the Brigham. “When Dr. Nabel interacts with media or other entities on NFL business, she and the NFL are careful to ensure that it’s clear that she is participating as a strategic advisor to the NFL, not as president of BWH,” McDonough wrote in an e-mail.